(CNN)– If there was ever a country that embodied the optimism of the “Africa rising” narrative, it would be Ethiopia. The economy of Africa’s second-most populated country has for the past decade grown at an average of 10.8% every year. Ethiopia has been a prominent player in modern world affairs since 1896, when it defeated Italy in the Battle of Adwa. The nation on the “horn of Africa” was among the first independent countries to sign the United Nations’ Charter, and supported the decolonization of other countries and the birth and growth of Pan-Africanism. The African Union is based in capital city, Addis Ababa. As a reflection of its growing international influence, in July 2015 alone, Addis played host to world leaders at the Financing for Development Summit, (a crucial meeting ahead of the UN summit in September) and to U.S. president Barack Obama. Like every other country in the world, Ethiopia has room for improvement. Despite the pace of economic growth, Ethiopia remains one of the world’s poorest countries, with an income per person of $550. The country’s human rights record has also come under criticism, with Obama remarking on restrictions to freedom of speech, press and political association. President Obama said: “When all voices are being heard, when people know they are being included in the political process that makes a country more successful.” In response to previous criticism from the State Department, the Ethiopian government responded by calling the human rights country report “unfounded accusations that can barely survive close inspection”. This year after a prolonged drought, 4.5 million Ethiopians are now in need of food aid. The UN warns that without action, the number could rise to 15 million people next year. Despite the country’s bumpy road to middle-income status, Ethiopia is exercising growing influence in the cultural space. Even when international news headlines were dominated by stories of conflict and famine, Ethiopia’s long distance runners stood out as a source of hope and pride. Most famous among them: Haile Gebrselassie, the 42-year-old, who in his 25-year career has earned two Olympic gold medals and set 27 world records. 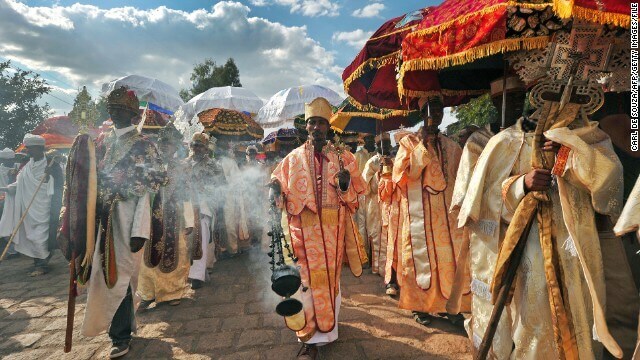 With an award-winning national airline, its diverse ethnic makeup, rock paintings, rock-hewn churches and other ancient sites – six of them on the UNESCO World Heritage list – Ethiopia is set to become a tourism hotspot.